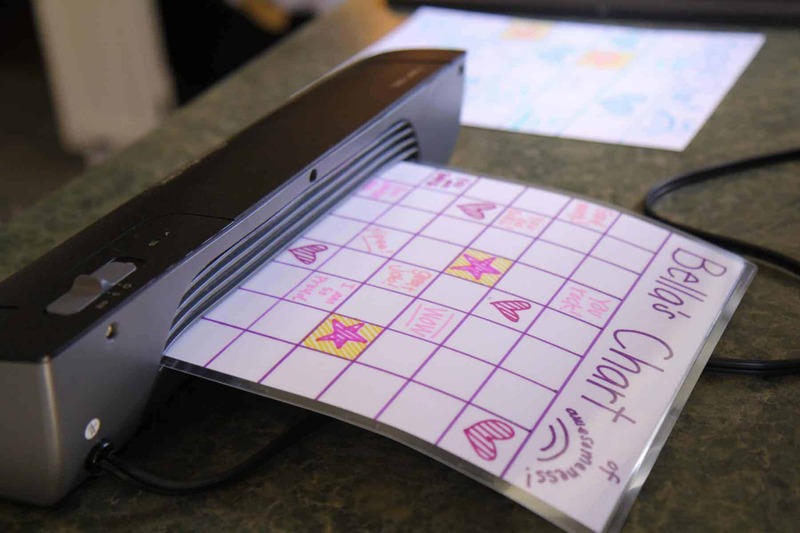 My friend Emily is here again with an awesome post all about a kid’s behavior chart! 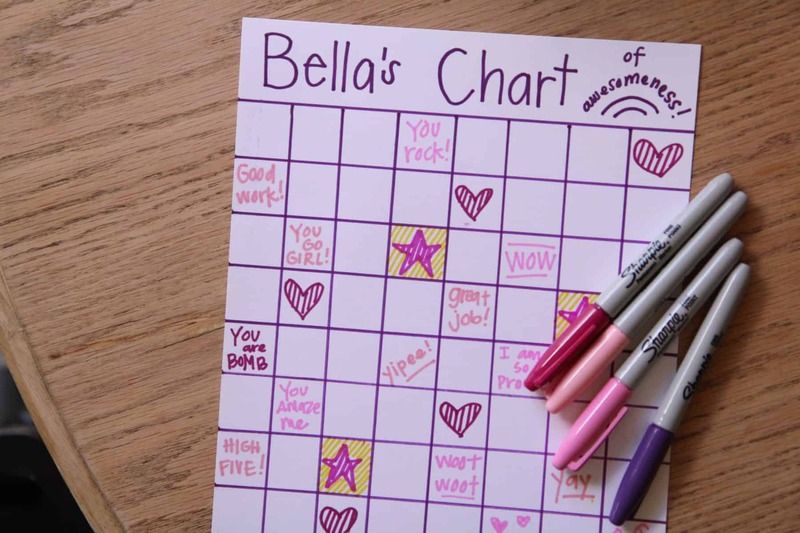 I love a good behavior chart for my kids and I think it’s wise to have a few in rotation. They work well for a few weeks but need to be revisited and changed up every so often too. Here are a few great ideas to get your positive parenting thinking caps on. Enjoy! My great-grandma Edna loved the expression “Leave no tender word unsaid.” I believe this wholeheartedly, and I try to put this into practice. However, it hasn’t come as easily for me these days. When I’m in the thick of kid raising, meal making, bum wiping, grocery shopping, working, church doing, laundry folding, and well, world conquering, it’s just hard to share a positive word sometimes. My thoughts feel consumed and overwhelmed. I want to fight against this, because I know how far-reaching a kind word can be, especially with my children. I needed a behavior chart. A visual reminder to share these tender words. Even if its only purpose was to sit on my fridge unused, I needed something to help me SEE the good and also ACKNOWLEDGE IT. But something happened: I actually used it!! I wanted to help my kids feel rewarded and encouraged in some visual way, too. They have loved it!! Using a ruler, draw a line 2 inches from the top. This is where you’ll write your child’s name. Using this line as your guide, place your ruler vertically along the edge of the paper. Make 1-inch marks down the length of the paper. Do the same on the right side. Connect your marks to create lovely straight lines! These will be your horizontal lines! Write name of child in header. Draw or write little “milestones” for each kid to reach. I like to space these out every 4-5 squares, depending on the age. My younger child needs it every 2 squares. (Optional) Laminate or use packing tape for extra durability. Or just don’t. 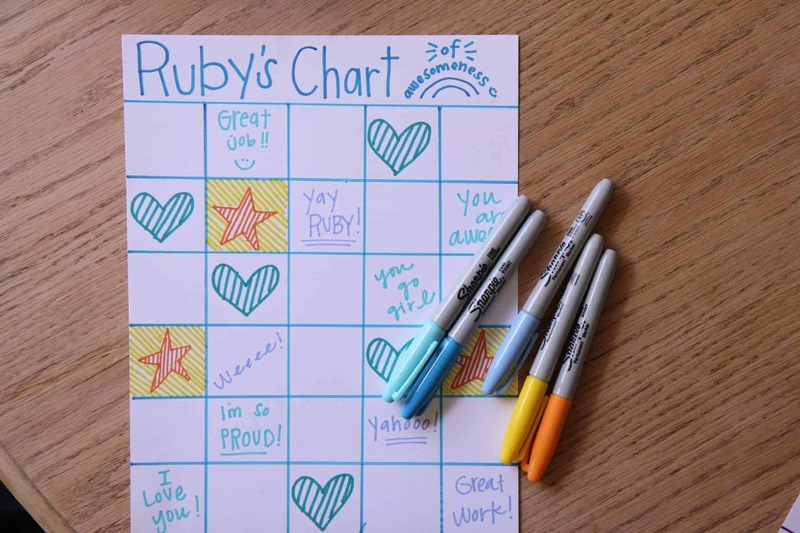 Reward with stickers or let them draw in each square! Reward all the things! Having a good attitude, going potty on the toilet, helping without being asked, showing kindness, being on time, trying new foods – whatever works for you! I drew pictures and wrote encouraging phrases within a few random squares. If your kids are encouraged by earning a small treat, outings, or some other reward, feel free to beef it up a bit by adding incentives when they “reach” a certain square. My 8-year-old enjoys looking forward to an ice cream outing and the 3-year-old likes a small treat! The milestones help encourage them to continue their goodness! I hope this behavior chart helps you! My kids are excited to use their new one I made for this tutorial! All my best to you and yours as you seek the good and praise it! People thrive on praise, it helps build self-esteem. Kids need it and so do adults. That’s a great chart with a great purpose!